Kashmiris are watching with great interest the 'Tunisami' that began in Tunisia and is spreading through the virtual and real world. Last year's unrest in the valley was fuelled by the use of social media by separatists who urged young Kashmiris to launch an 'online Intifada'. While it didn't quite meet with the success that the separatists wanted, it probably sparked off an idea that was used by protestors during the Arab Revolution. 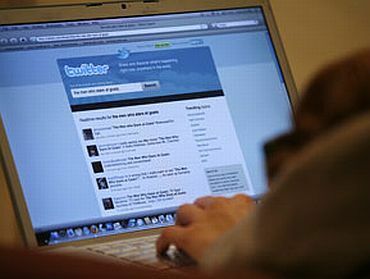 Some claim that it was the Iranians who used the social media first to revolt against a repressive regime. 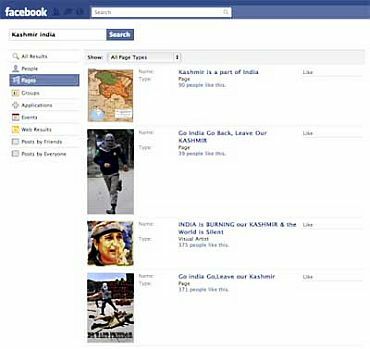 The 'Facebook revolution of 2010' in Kashmir didn't have the desired effect. 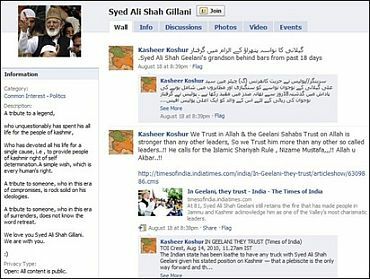 While it certainly made the over 10 million Indian online community aware that the disgruntled in Kashmir were not merely the aged Hurriyat gentlemen on TV screens, it failed to project the political aspirations of the Kashmiris. The status updates on Facebook and the videos that were uploaded on YouTube were of the violence and crackdown that happened during the stone throwing incidents in the summer of 2010. It led to increased international media interest in the Kashmir agitation, but foreign governments refused to be drawn in into the political conflict. Unlike in conventional media, in social media, the control lies with the user, and angry and hurt Kashmiris used this tool till the government stopped them. A crackdown after two months saw the banning of Facebook and text messages for some months and the stopping of Internet services during the troubled days. Peace returned to Kashmir and services were restored. Several confidence-building measures have been taken. Between a parliamentary delegation and the interactions with central government appointed interlocutors, the hands of the young Chief Minister, Omar Abdullah, have been strengthened. He is getting all the cooperation that he has asked for, in ensuring peace in Kashmir. Nobody wants a repeat of 2010. But it would be foolhardy to expect the summer to be as eventless as the winter. While popular initiatives are being taken by the state and central governments, and attempts are being made to bring the disheartened and disgruntled to the negotiating table, it would be prudent to be wary of those who are seeing the events in the Arab world through the Kashmiri prism. Tweets and posts on Facebook indicate a sense of optimism that the international community will back any pro-freedom unrest anywhere in the world. 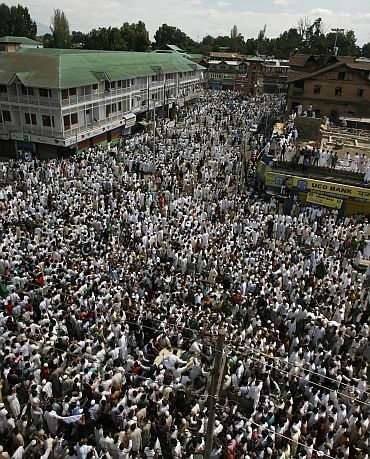 The desire to assemble in large numbers in Lal Chowk, in the centre of Srinagar, and to keep all night vigils demanding azadi, is being discussed on both Twitter and Facebook. "Facebook and other social networking sites are being used as a tool of propaganda against the army and other security agencies by elements who are hell bent on disturbing peace in the Valley," said Lt Gen SA Hasnain, General Officer Commanding of the Srinagar-based 15 Corps. Mehbooba Mufti of the PDP, sensing an opportunity, tried to erroneously draw parallels between the Kashmiri conflict and the Arab revolutions. She said: "I would like to congratulate the people of Egypt. It's necessary to mention Egypt because there are many similarities. They were fighting for democracy; we are fighting in spite of democracy. We have been fighting for the last 60 years." She missed the point though that the Egyptians and the Tunisians, and now the Libyans are seeking the exit of authoritarian governments that have ruled them for decades on end without any chance at governance or economic freedom. In Kashmir, an overthrow of government would mean army rule or central rule, which no Kashmiri in his or her right sense would want. The chief minister was quick with his tweet repartee. "It seems she (Mehbooba Mufti) wants Army rule in Jammu and Kashmir." 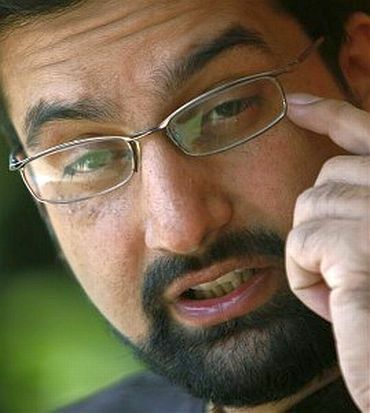 Mirwaiz Omar Farooq, who kept silent over the killing of two innocent girls by militants in Sopore, was quick to react over the events in Egypt, the same week. He said: "If we continue our struggle peacefully and exhibit discipline and unity, with Allah's grace, we too will meet our goal. We need to follow and learn from Egypt." The same was the case with hardline Hurriyat leader Syed Ali Shah Geelani who waxed eloquent on Egypt on the day the Sopore sisters were mercilessly killed. Online, Kashmiri Pandits who were simultaneously backing the BJP flag yatra to Srinagar for the Republic Day noticed this. It was time to back down from the war of words with those who were gloating about a revolution and felt let down by the Hurriyat reaction. The war of words ebbed in February, but the power of social media has been tried and tested, and it is potent. 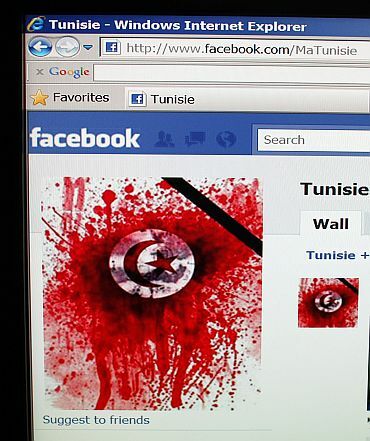 The world community will not appreciate a state crackdown on Internet services. At the same time use of the social network to fuel violence against security forces and malign the Army will also not be allowed. It is going to be a tight ropewalk for the state government in the coming months. Exclusive: Mehbooba Mufti speaks out!